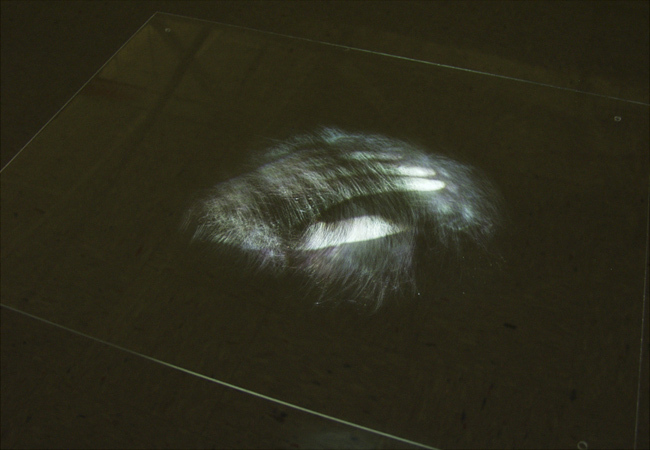 Video footage of a hand gently patting a head of hair is projected onto a piece of clear acrylic. I made white scratches on the acrylic by patting it with sandpaper on my hand. The video image is only visible where it lands on the scratches.